You may have noticed that this blog has been rather neglected this past year. Well, I am happy to inform you that it was for a very good reason – I was writing my first book! 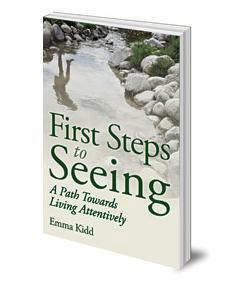 The book, First Steps to Seeing: A Path Towards Living Attentively, is being published by Floris Books and will be on sale on the 18th June. This is very exciting for me! And I very much hope that you will all enjoy it. The book itself is a down-to-earth expression of my idea that genuine sustainability starts from within; and, more specifically, that if we wish to achieve collective ‘sustainability’ we must look to the ways in which we think about, see and pay attention to the world around us as individuals. This entry was posted in Uncategorized on May 16, 2015 by roseyenglishangel.